On this day in history, 20th June 1540, five months after her marriage to King Henry VIII, Queen Anne of Cleves complained to her ambassador, Carl Harst, about the King’s interest in one of her maids of honour, a young woman by the name of Catherine Howard. Anne of Cleves is one of the History Hot 100 recently compiled by BBC History Magazine and Conor Byrne has kindly written an article on how Henry VIII’s six wives are as popular as ever – click here to read that now. This shows that Anne was not as ignorant about what Henry was up to, as he clearly thought, that she was not going to tolerate his behaviour and that she had a voice and was not just passive and unaware of the things around her. She has noticed Henrys playing with her young maid of honour, she may even know about his visits across the Thames, but she quite rightly is not just going to say nothing. Anne knew Henry was not entirely pleased with her as Cromwell told her to make herself more agreeable to the King, her women were asking personal questions about the bedroom, Henry had a reputation, she was justifiably worried. I doubt that even the assurance that Katherine was a light affair did much to put her mind at rest. 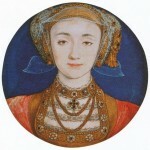 Anne of Cleves was not happy and she had every right to complain. She certainly wasn’t being treated very well, Henry reminds me of some guy who had arranged to meet his blind date only to find he didn’t like her, and then spent the rest of the evening trying to get out of it. Hi Christine, I agree with you. When it comes to Anne of Cleves I see Henry behaving like a petulant child. O.K maybe he really could not get out of the contract, but his whole attitude is oh poor me, I don’t want to do this so I will stamp and sulk. I do this for England, I will look as if I going to my execution, not my wedding. I am being forced to do this, boo hoo, and I can’t do it, its too hard. Now I have failed and made a right mess of things but I had better find a way to fix things so mummy and daddy dont find out. I know I will blame somebody else. Wail, it was Cromwells fault!!!!! I need my dooey!!!!! Then he discarded poor Anne as if she was a toy and he was now bored. Yes, she was right to be annoyed and gracious to consent to the annulment. And you would not mind but he was like an over excited big kid when she arrived who could not wait for his birthday for the present but had to rip off the paper then and there. Yes well to be honest Bandit Queen I find most men are like big kids at times anyway.